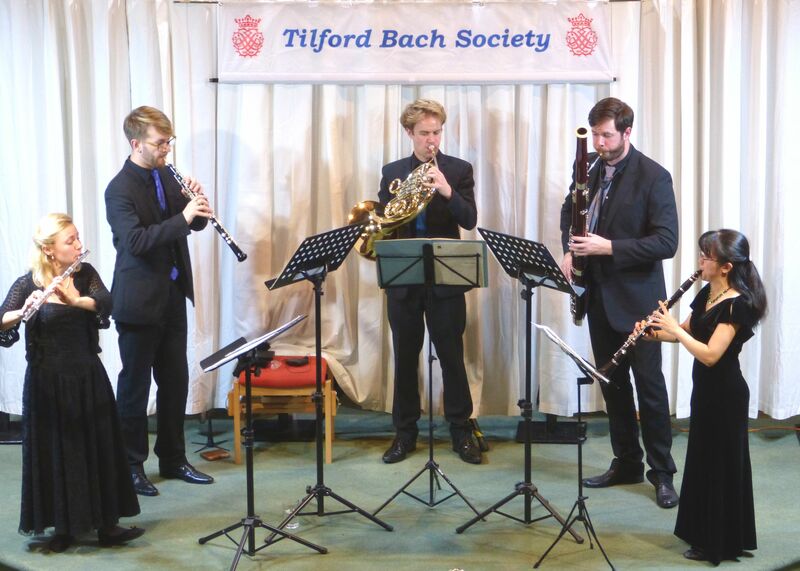 The internationally-acclaimed Atea Wind Quintet blew into Farnham last Saturday with a delightful and varied programme from the 20th and 18th centuries. Comprising flute, clarinet, bassoon, horn and oboe, Atea holds the prestigious posts of Associate Ensemble in Residence at the Birmingham Conservatoire and Quintet in Residence at the Purcell School. Three works by little-known 20th-century composers formed the first half of the concert. Alexander Zemlinsky’s ‘Humoreske Rondo’ bubbled with skittish joy and was followed by ‘Trois Pieces pour Une Musique de Nuit’ by Eugene Joseph Bozza, the last of which had a haunting, wistful effect. Anna Hashimoto, the clarinettist, declared the creator of the third work, Quintet No.2 by Jean Francaix, to be her favourite composer of all time, adding that his works are all ‘fiendishly difficult’. She told the audience, ‘His music always brings a smile to my face – he creates the best sounds. Watch out for a cheeky bassoon and horn duet in the last movement!’ It was truly a virtuoso performance by all the musicians. 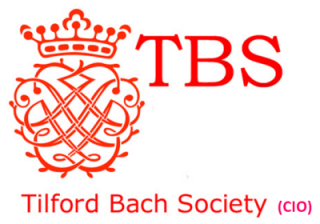 The Tilford Bach Society was honoured by an arrangement of Bach’s Goldberg Variations specially prepared by Atea for this concert. Originally scored for two-manual harpsichord, the thirty variations have been adapted for every conceivable instrumental combination and wind quintet proved to be an excellent medium for exploring the varied textures and harmonies of the work. The main theme passed effortlessly from one instrument to another, the different timbres giving clarity to the strands of the intricate counterpoint. Brought together by their communal love of wind chamber music, members of the Atéa Quintet have individually received several prizes in international competitions and played with all of the country’s leading orchestras. The Quintet is eternally grateful for the support that they have received from the Tunnell Trust, Kirckman Concert Society, New Dots and Live Music Now.